Vermilion is an opaque and heavy reddish orange pigment similar to the color Scarlet. It is more stable in oils than in other forms and brushes out well. Since the 1920's, it has largely been replaced by Cadmium Reds because they are less reactive, particularly in oil colors, and less toxic. 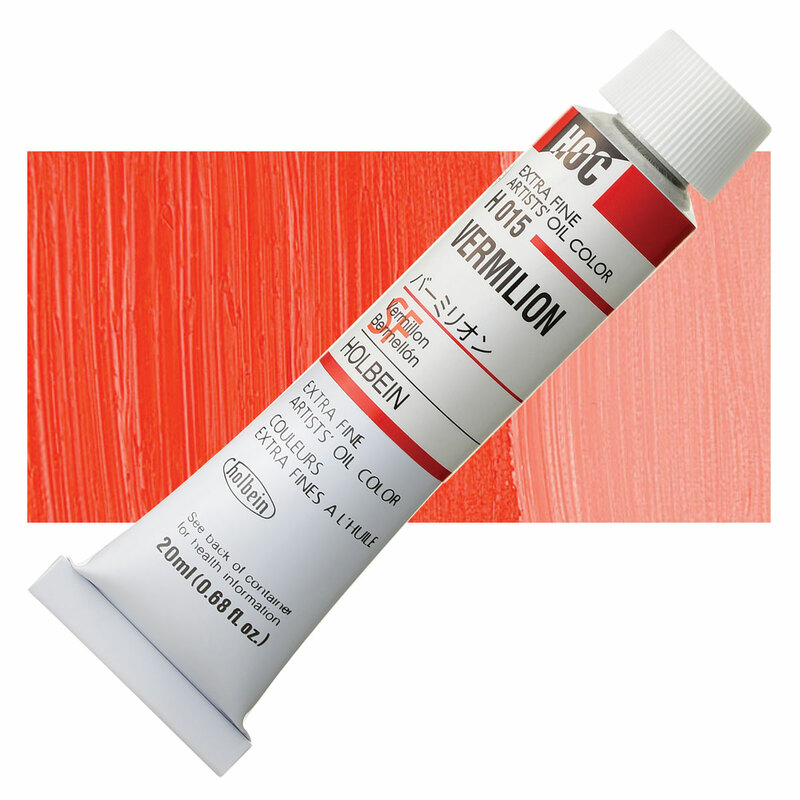 Vermilion has very good permanence, although it is considered unreliable by many artists. Vermilion is extremely toxic if ingested, highly toxic if inhaled, and slightly toxic if it comes into contact with your skin. It can cause skin allergies and forms hydrogen sulfide if combined with stomach acids. Made from the mineral cinnabar, Vermilion has been used in India and China since prehistory. The earliest known description of synthesizing Vermilion from mercury and sulfur dates from 8th century China. It was an extremely expensive pigment due to the rarity of pure cinnabar sources. When sold in Europe, it was frequently adulterated with red lead, an inexpensive bright lead oxide pigment that was too reactive to be trustworthy enough for use in art. Vermilion was favored by old paint masters, such as Titian.